Grenada along with the rest of the world will observe World AIDS Day on 1 December. In observance of this day the Grenada Food and Nutrition Council is reminding the Grenadian public that nutrition is a subject you should pay special attention to especially if you are HIV positive or living with AIDS. Like a vicious cycle, poor nutritional status can reinforce HIV and vice versa. However, making improvements in your diet can improve your overall quality of life by providing nutrients your body needs. Good nutrition will also keep your immune system stronger so you can better fight opportunistic infections /disease, as well as help manage HIV symptoms and complications and help manage side effects of medications. Given the high risk of micronutrient deficiencies and the prevalence of inadequate dietary intake of persons living with HIV/AIDS, a nutrient dense diet using a variety of foods is recommended. This diet should include staple foods as the primary source of energy, generous amounts of vegetables, fruits, lean meats and low-fat sources of protein as tolerated. Fats and oils should be used moderately as tolerated, and legumes often, as tolerated. Include lean or low fat proteins, carbohydrates, and a little good fat in all meals and snacks; also consume adequate amounts of potable water. Fruits and vegetables should be thoroughly washed if being consumed raw but to minimize exposure to other harmful bacteria and toxins found on or in those foods, they should be cooked thoroughly. This is necessary to help fight off infection and support the nutritional deficiencies (including vitamin A and E, the B vitamins, magnesium, and zinc) that contribute to decreased immunity and disease progression. Timely nutrition intervention is a crucial part of the nutrition care process for persons living with HIV/AIDS. 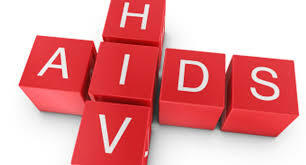 In the absence of a cure, it is important to control symptoms, support the immune system, and lower the levels of HIV circulating in the blood.